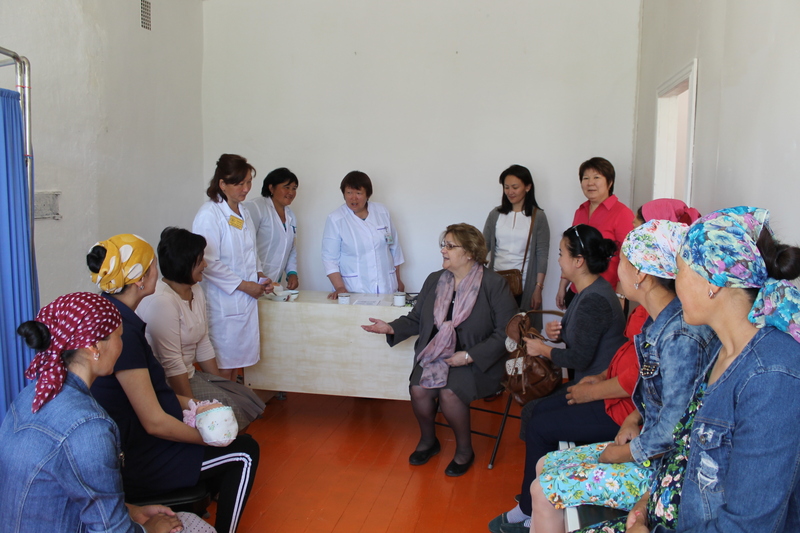 US Ambassador Sheila Gwaltney visited SPRING/Kyrgyzstan program working to improve nutrition outcomes among women and children in Naryn Oblast. 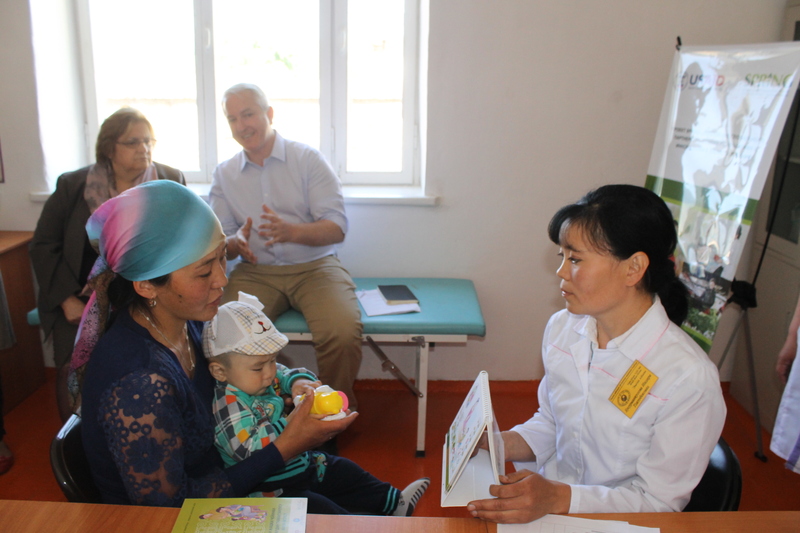 During visit to a health outpost in Jan-Bulak Village, Ambassador Gwaltney joins a birth preparedness class with expectant mothers from the community. Ambassador Gwaltney (back left) observers a health provider provide nutrition counselling to a mother during a well baby check. 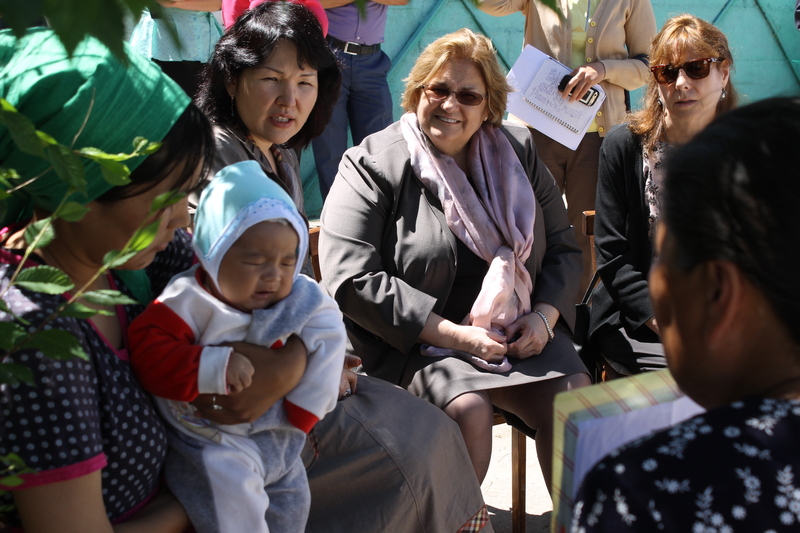 Ambassador Gwaltney watches as SPRING volunteers talk to new mother at her home about the importance of exclusive breastfeeding for the first six months of her child’s life. 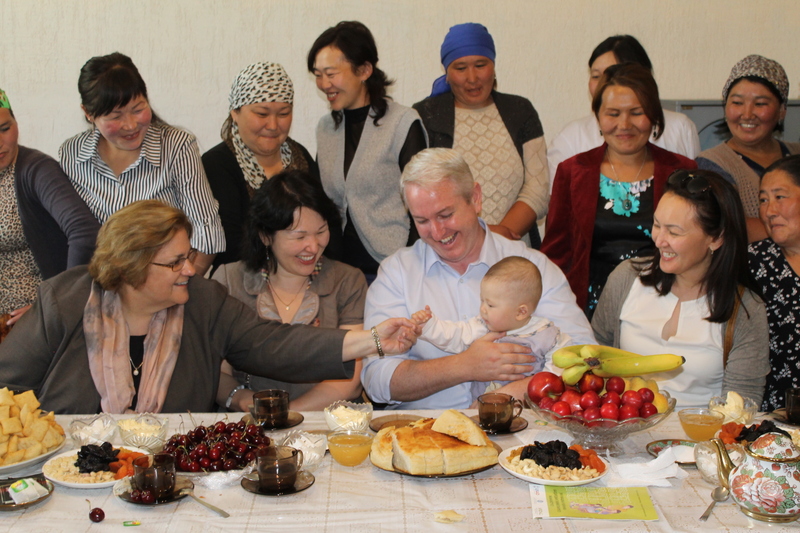 Ambassador Gwaltney plays with a SPRING volunteer’s baby boy (held by SPRING Chief of Party Michael Foley) after discussing the impact good nutrition information will make on their community and the next generation.